To test your knowledge about policing try answering the questions below. If you need some help, all of the answers can be found within the Young People’s Zone. What telephone number would you call in an emergency? 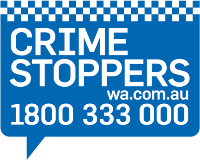 How many points does the Star have within the WA Police Force logo? Which animals feature in the State Emblem? What year was the WA Police Force founded? Name two of the Youth Programs featured within this section. What kind of helicopter does the Police Air Wing operate? Name two jobs that the Police Dog Squad does. When was The Dog Squad formed? When would you call 131 444? What is the highest rank in the WA Police Force? When is the WA Police Force banner used? List three internet safety tips. How can you find out what rank a police officer is? What is the mission statement of the WA Police Force? How many stripes does a Sergeant have? Thanks for visiting the Young People’s Zone, we hope you have enjoyed learning about the WA Police Force.